If there is any member from SRS Pearl Floors who has not paid membership fee , Please do so as soon as possible. 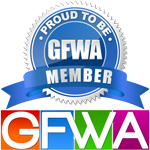 Also update your contact details in " SRS Pearl Floor " forum so thet we can get together and interact about our project along with other GFWA common issues. 1) Cable connection in drawing room is at wrong place , its absolutely useless. 2) NO AC points are being given in rooms. 3) Very stupid partition is being done in bathrooms which does not make any sense. 4) Doors quality is really cheap. We are planning for a Group Visit on 20th August Saturday at the Site and will have a discussion with construction engineers and SRS management. Please come forward and do paritcipate in this meeting. Share your comments and suggestions. I am Naveen Dutt i am staying at Faridabad sec -16 . My unit id is P1-24D and the contact number is 9990093707. Residing in Faridabad, Sector 21 B.
I am Ranjith, staying at Mehrauli. in Addition EEC @ Rs.75/SqFt (Once we pay the DC=edc+idc, then why these EEC??????) complete new thing as compared to other Builder/Projects. Are every member of P8, getting same charges????? Can we have more interaction plzzzzzzzzzzzz friends, to find any solution/complain!!!!! !